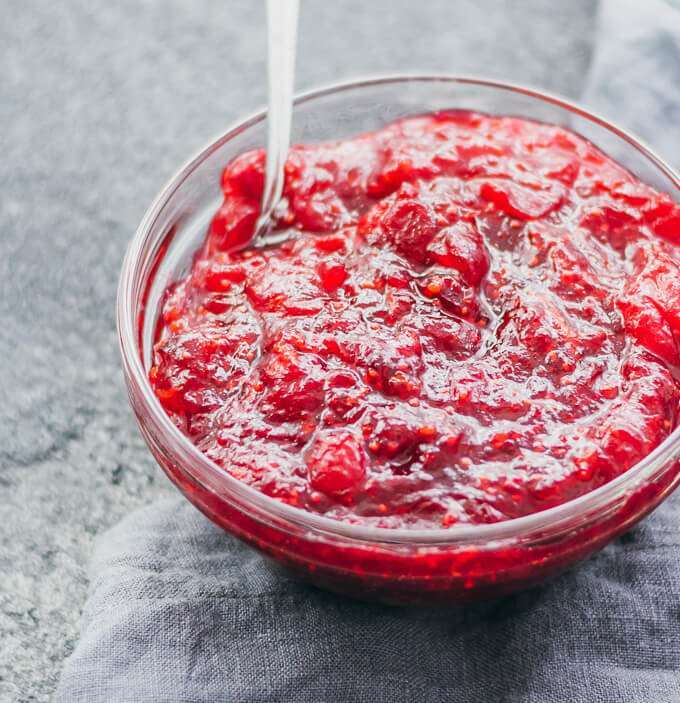 This is THE cranberry sauce recipe that Dee makes for Thanksgiving Day. Enjoy and Happy Thanksgiving! Place the cranberries and water in a saucepan over medium-high heat. Bring to a boil until the cranberries start to “pop,” then reduce the heat to low, add the juice from one orange, cinnamon and cloves, and simmer gently for about 10 to 15 minutes, allowing the mixture to thicken. Remove from the heat and add the stevia, orange pieces, and zest. Stir to mix. Cool to room temperature. 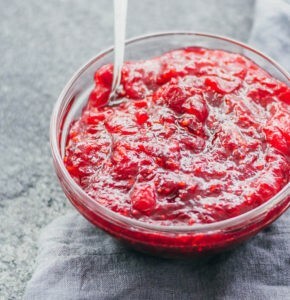 Cranberry sauce will thicken even more when chilled. Note: The stevia can be replaced with 1 cup coconut nectar.